An iPhone application that brought music remixes, news and concert footage to Nine Inch Nails' fans was banned from Apple's App Store recently, after the computing giant deemed its content unacceptable. 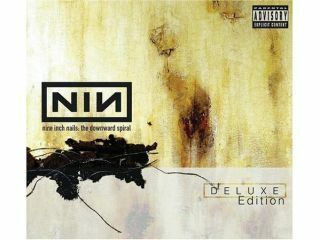 The application, which also featured GPS tracking to help link up fans in local communities, was rejected by Apple due to an expletive found in the NIN's track/album The Downward Spiral. Trent Rezner, lead singer and stalwart of the band replied to the rejection on his blog, saying that: "You can buy The Downward Spiral on iTunes, but you can't allow an iPhone app that may have a song with a bad word somewhere in it. Come on Apple, think your policies through and get your app approval scenario together." Before you all shout, yes we did clean the above quote of all expletives, but you can read the full f-word filled rant at forum.nin.com. In a move that sees Apple with egg on its face over the app decision, the winners of the Webbys were announced this week, the internet equivalent of the Oscars, and Trent Reznor won the Artist of the Year accolade. The award went to the singer for his contribution to the digital fold, with his 2008 album The Slip – which was available as a free download on his official website.